Now that we have a basic understanding of pH, let's look at the small drop in alkalinity in the ocean. First, the ocean is one of the major "holders" for carbon--only rocks hold more (the rocks have dead plant and animal parts in them which is how they hold carbon). Note: Carbon and carbon dioxide are not the same thing, but unfortunately, people use them interchangeably. The "carbon" in the ocean is both carbon and carbon dioxide. (Carbon is an element meaning it is one atom, carbon dioxide is a compound meaning it has more than one atom and these are joined together). The ocean is the largest CO2 reservoir when compared to air, land, and plants. CO2 is naturally dissolved in the ocean. However, only about .4% (4 molecules out of 1000 molecules of dissolved CO2) becomes carbonic acid. Most CO2 stays as dissolved CO2, kind of like soda, without the fizz. Several things affect how much CO2 is dissolved--cold water holds more CO2, saltier water holds more CO2 and deep water with high pressure holds more. Plus the amount of CO2 in the air above the water effects how much CO2 goes into the water. Deep oceans are colder and have higher pressure so they can hold the most CO2. Then another transformation, losing 1 hydrogen atom but keeping the electron. 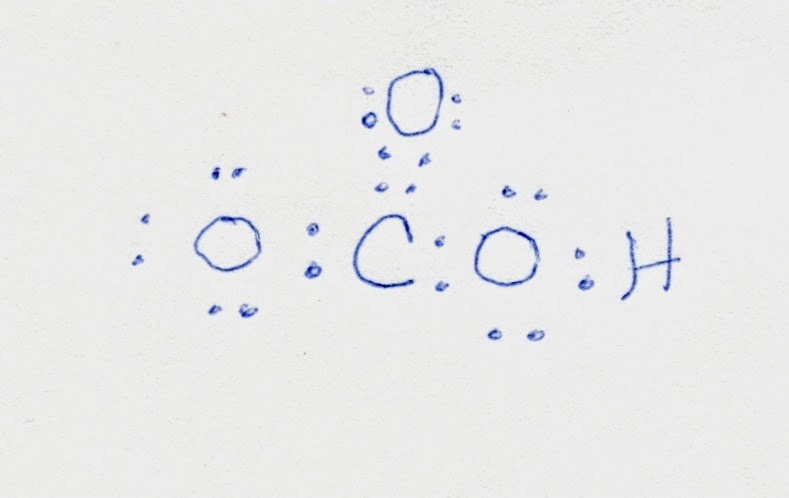 This breakdown of carbonic acid occurs very soon after the acid has formed, meaning most of the carbonic acid quickly becomes carbonate and bicarbonate. 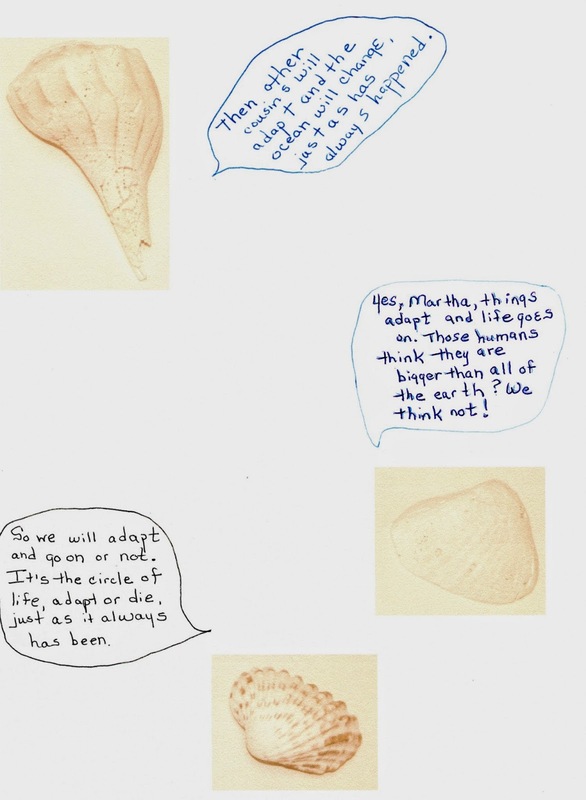 Carbonate ions are used by some sea life to combine with the calcium (Ca2+) ions in the ocean--which come from dissolved limestone in part--to build shells. Limestone is dissolved by the carbonic acid and releases the Ca2+. What happens if more CO2 is added to the ocean? More hydrogen ions are formed (H+) and combine with the carbonate, forming bicarbonate and taking away the carbonate ions. Ocean chemistry is very complex and cannot be fully discussed here. 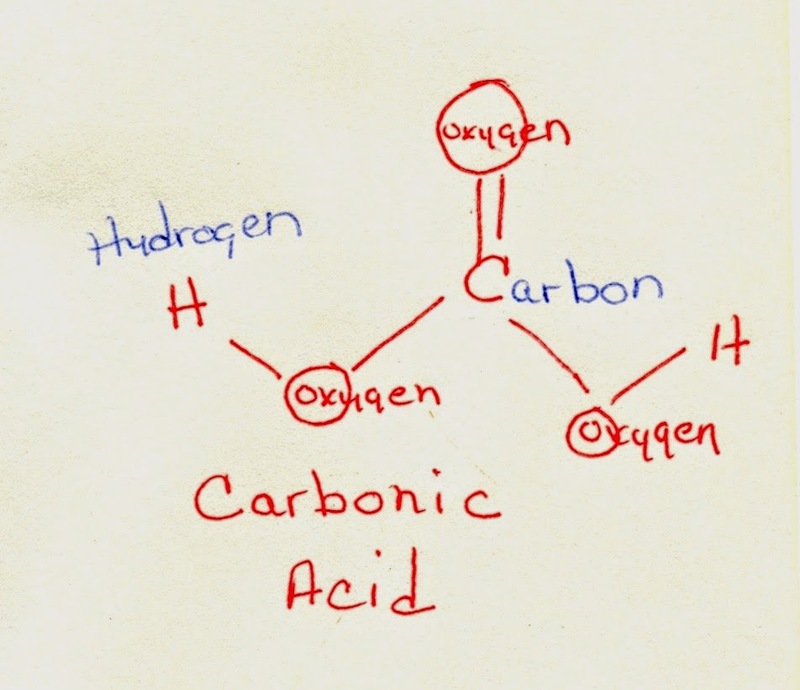 While the amount of carbonic acid formed is small, remember that each molecule adds two hydrogen ions when the acid breaks down, which increases the pH of the ocean. 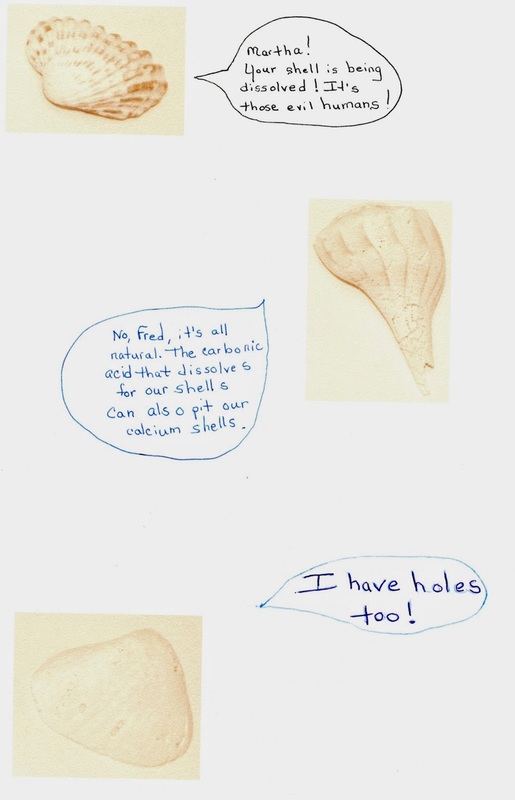 The carbonate ions are used by shelled critters, which takes some of the carbonate out of the ocean. The different parts of the system are very intertwined. Why are some scientists worried about carbonic acid increasing in the ocean? Perhaps you have read scary headlines like "ocean dissolving shellfish due to acidity". Then maybe a teacher has you soak a shell in vinegar and see how it dissolves. Problem: the ocean is not filled with vinegar. One acid does not substitute for another except in special cases. Vinegar has a pH of 2, carbonic acid is pH 5.7. 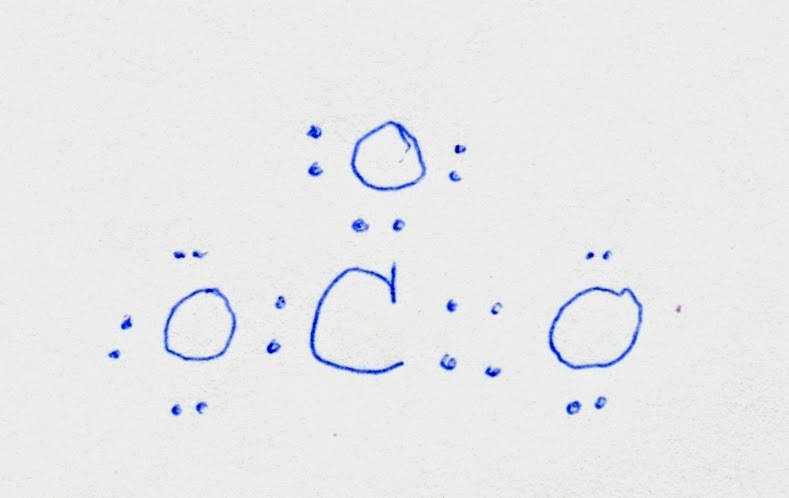 The two acids are not close in pH nor in chemical structure. The "experiment" leads to a false conclusion. 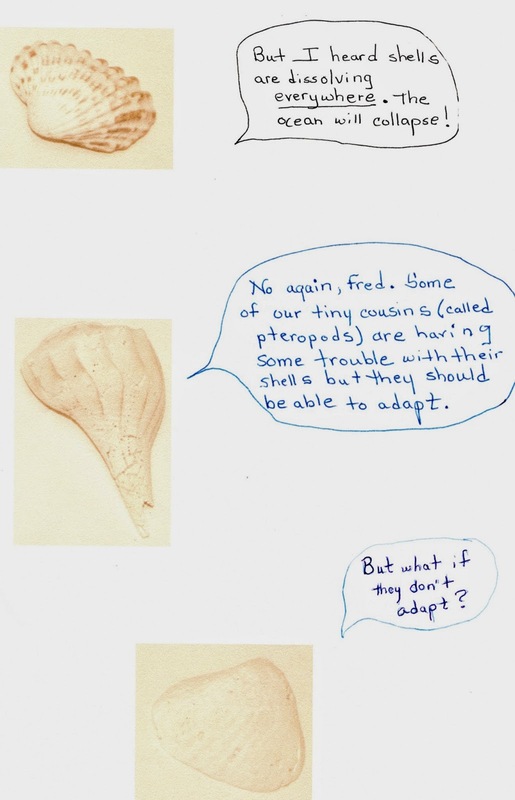 Put a shell in ocean water and you'll get a more realistic conclusion. (You may be much older before you see changes. It's a very slow process.) Still, without a living organism and the surroundings of the ocean, any conclusion reached may be wrong. We must study the creatures in their own environments, not a lab. Certainly never with a substance that is "sort of like" the one we are actually researching. The pH of the ocean changes very slowly and allow time for the residents to adapt to the pH changes. Any experiment that does not take this into account is not going to tell us anything about ocean life adapting. Research on pH changes in the ocean takes time, much time. The changing of the pH of the ocean may affect some sea life, but there's not enough evidence to actually say this is a threat to the planet. Before global warming became a big deal, ocean life dying due to pH changes would have been considered natural selection, part of evolution. For reasons unknown, science seems to have decided if humans might have caused something, it's not evolution, it's a disaster. There is no good reason for this. Species have gone extinct in the time before humans and will continue to do so even if humans try very hard not to affect the earth. Plus, humans are part of the world, so no matter what we do, people are going to have some impact and that is not a bad thing. We shouldn't just wipe out species because we can, but we can't stop the world every time we think a species will become extinct. Nor should we. Remember the statement about CO2 being temperature dependent? Anywhere the ocean warms, it releases CO2 and where it's cooler, it absorbs it. Currents move the CO2 deep into the ocean, where the pressure is high. Rather than being afraid, we should be marveling at how very efficient the earth is at maintaining itself. The oceans will survive and thrive no matter what humans do. Yes, different species may thrive while others dies out, but that is the way the world works. Change is something to learn from and look forward to. Few things in the world stay the same for millions of years or several hundred years.